Sign up and receive Property Email Alerts of Houses for sale in Norton Home Estate, Benoni. 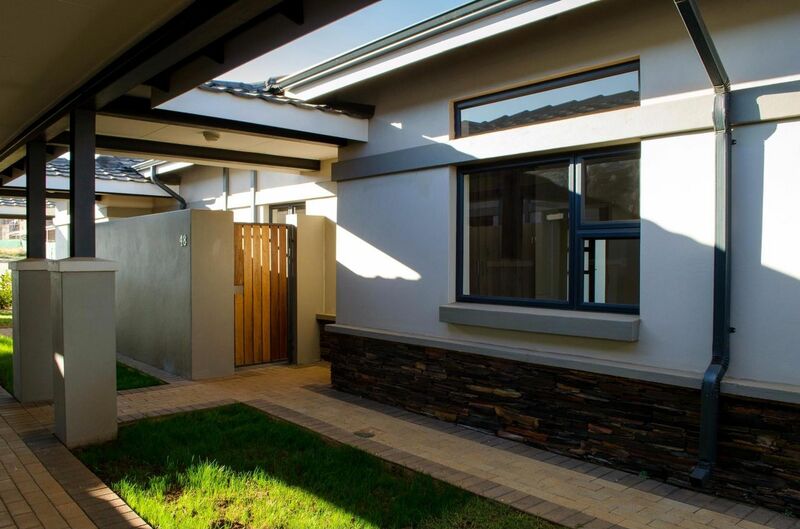 Comprising of 2 bedrooms and 2 bathrooms main being en suite and open plan luxury living spaces. The unit offers a modern kitchen with granite counters and breakfast nook, stainless steel appliances, a large dining and lounge area which open through sliding doors onto a covered patio. There is a single garage and the units are pet friendly with loads of visitor parking. Eastlands Mature Lifestyle Estate in Benoni North heralds a new era in retirement estate living in South Africa. The homes are set in expansive landscaped park-lands planted with indigenous trees and shrubs, while common areas feature walking trails with large ponds and extensive indigenous planting areas that attract abundant bird life. Eastlands is not just a future-forward retirement estate; it’s a cost-effective lifestyle opportunity for those transitioning from careers to active retirement who are looking for their forever homes, and a high-performance investment prospect for property investors. Sign-up and receive Property Email Alerts of Houses for sale in Norton Home Estate, Benoni.